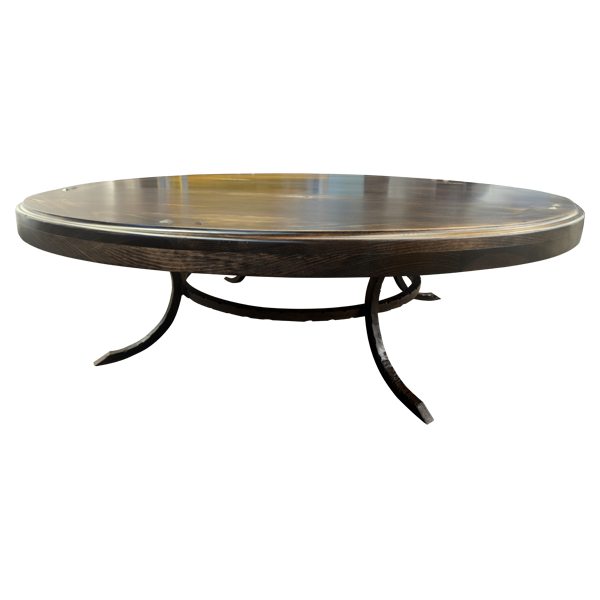 Include in your home décor the graceful, minimal design of this handcrafted, Western style coffee table. 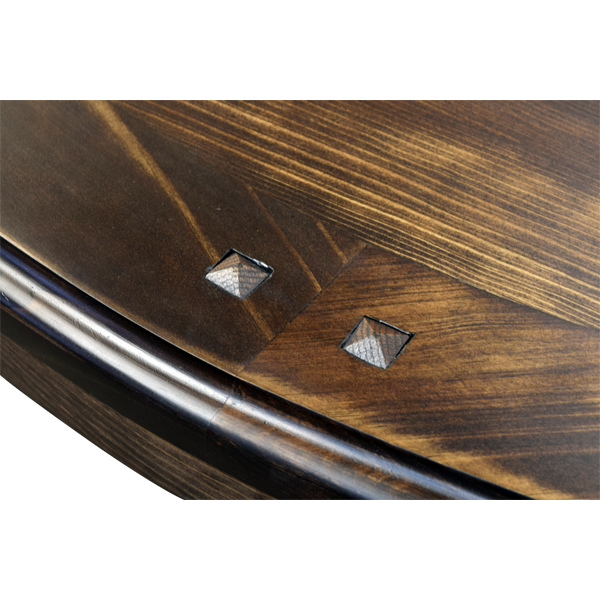 The coffee table features a circular, solid wood top, and the top is covered with a matching, protective glass. 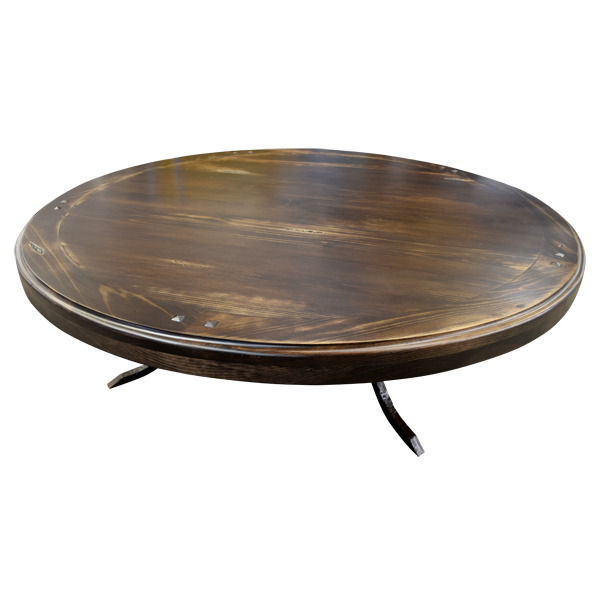 The table top has an antique finish, but the top can be finished in a variety of different stains. The top rest on four simple, curved, hand forged, iron legs, and the legs are connected with a circular, hand forged, iron stretcher. The coffee table top is made with the best, sustainable, solid wood available, and it is 100% customizable.